Disassembling capability for easy cleaning and maintenance. 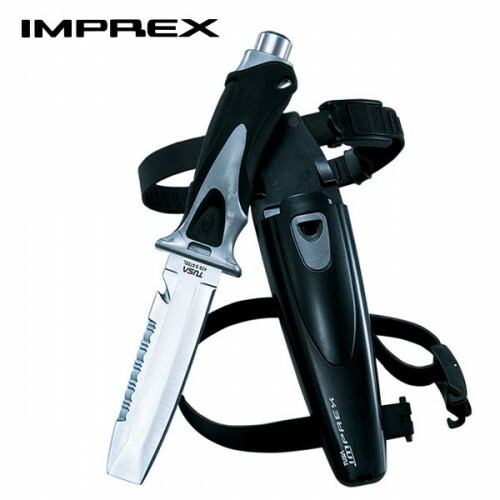 Includes a serrated edge plus a line cutter. 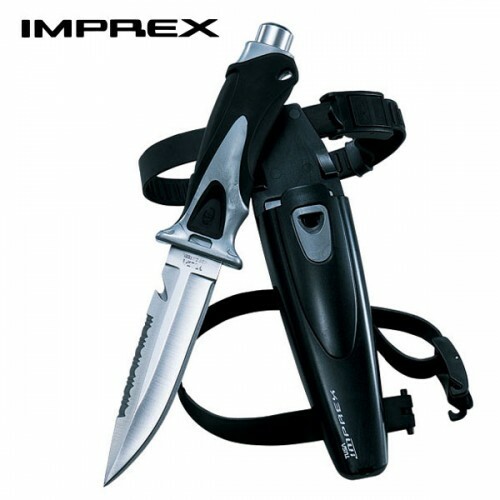 Sheath lock button holds knife securely in place, then releases at a touch. Easy-to-adjust buckle and strap allow for a comfortable fit. Efficient 5 3/8” (14cm) length blade. 10 ½” (27cm) overall length. Same features as FK-210 but with a blunt tip. Efficient 4 7/8” (13cm) length blade. 10 1/8” (26cm) overall length. Colours: Cobalt Blue, Shark Silver.